Microsoft released a statement detailing the agreement they've made with Research in Motion (RIM) to license exFAT to the BlackBerry makers. exFAT (Extended File Allocation Table) technology allows for devices which utilize flash memory to handle files fives times larger than the previous FAT system. In addition to allowing for better interchange abilities between mobile devices and PCs, exFAT will also "[facilitate] large files for audiovisual media and enables seamless data portability." The licensing agreement allows RIM to utilize exFAT in "certain BlackBerry devices." In regards to the deal between Microsoft and RIM, David Kaefer, general manager of Intellectual Property Licensing at Microsoft shared why this was a good deal for both companies. "Today's smartphones and tablets require the capacity to display richer images and data than traditional cellular phones," Kaefer said. "This agreement with RIM highlights how a modern file system, such as exFAT can help directly address the specific needs of customers in the mobile industry." It's not quite the collaboration rumored to be happening between Microsoft and RIM, but it certainly shows RIM is serious about getting back on competitive track once again. 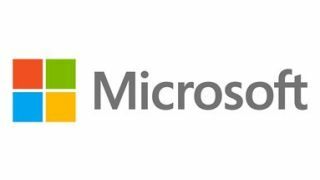 The terms of the deal were not disclosed, however Microsoft has entered into previous similar arrangements with companies like Panasonic, Sony, and Canon.